Chris Gilbert, CEO, commented “Our efforts in marketing our material globally are bearing fruit as we develop our markets in India, China Turkey and Italy. We have repeat orders from multiple customers, ordering marble principally from our quarries in Prilep in Macedonia and Maleshevë in Kosovo. We have generated significant demand for our product, as such we are increasing our investment in these two quarries to increase our production capacity and grow revenues. 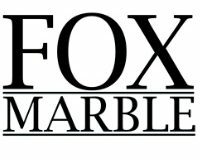 I expect this trend to continue this year and look forward to being able to report that Fox Marble has a stable and growing customer base with increasing revenues across the Group. Our factory is now capable of processing a full range of marble products. We look forward to the sales of processed marble increasingly contributing to the bottom line throughout the year. 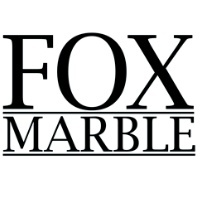 Fox Marble (LON:FOX), the AIM listed company focused on marble quarrying and finishing in Kosovo and the Balkans region, today provided the following operational update ahead of the publication of its preliminary results for year ended 31 December 2018 which are anticipated to be notified in May 2019. 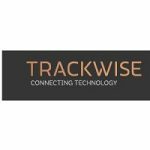 · Unaudited sales for the year ended 31 December 2018 of c. €1.4 million, (2017 – c. €1.2million). · Production for the year ended 31 December 2018 of 12,561 tonnes (2017 – 8,811 tonnes) driven by an increase in production in Prilep in the last quarter of the year, not yet reflected in sales. 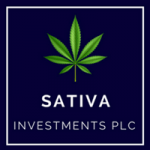 · Fundraising completed raising £2 million with the funds planned to increase capital equipment at the quarries in order to expand production and meet the confirmed demand for material in 2019. 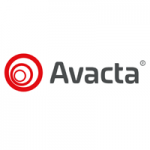 · Block order book from existing customers for the year ended 31 December 2019 of around €3 million. Unaudited sales for the year ended 2018 were c. €1.4 million, with a further €0.3 million in advances which have not yet been recognised in sales. Whilst sales growth has not been as strong as expected, this has been driven by lower than expected quarry production volumes in Maleshevë. The demand for our Illirico Selene marble is currently outpacing production. We have seen encouraging signs in the development of our customer base, with a core of recurring block sale customers, with steady and regular demand for our material. We expect these customers to form the backbone of expected revenues in 2019. 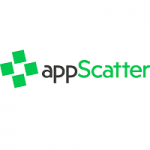 · In 2018, the Company has seen its first significant orders from China. A single Chinese customer has purchased and paid for 894 tonnes of Illirico Selene in three separate shipments. This customer has confirmed it wishes to take 300 tonnes of this material each month for the next 12 months. · Turkey continues to be a consistent market for the Company, with over 1,200 tonnes of material sold in 2018. The customer has confirmed its expected demand in 2019 will be increased to 2,000 tonnes. · In January 2019, the Company announced that it had started production of a new material at the Prilep quarry called Alexandrian Blue. The new material has dense blue grey banding with smaller bands of white which produce a marked blue tone and is akin to the highly desirable Zebrino marble from Northern Italy. This new material will be quarried alongside Alexandrian White which is already in commercial production at the quarry. Fox Marble sold, and received payment for, 441 tonnes of Alexandrian Blue extracted in December 2018 to a single customer. Following this order, the Company entered into a sales agreement with this customer to purchase Alexandrian Blue with an expected value in excess of €1 million over the next twelve months. The same customer has confirmed its intention to purchase 3,500 tonnes of Illirico Selene. 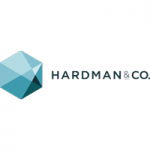 · In 2018, the Company has established an office in Dubai to service the Gulf Cooperation Council region and has entered into a forward purchase agreement for processed marble including a $500,000 advance. The Company completed two large cut-to-size orders to a client in the UAE at the end of 2018, including the production of 50,000 10 cm x 10 cm tiles, which were secured via our new Dubai office. Our focus has continued to be on the Maleshevë quarry in Kosovo and Prilep quarry in Macedonia. Total production has increased to 12,561 tonnes, a 42% increase since 2017. Production at the Maleshevë quarry, which produces the Illirico Bianco and Illirico Selene stone was 7,278 tonnes (2017 – 6,526 tonnes). This was below the Company’s expectations for the year, particularly in relation to the second half of 2018. The Company intends to make a significant investment in capital equipment in order to address the production shortfall and meet demand for these types of stone. In Prilep, the introduction of a new quarry team at the site in November 2018 increased the total production for the quarry to 5,282 tonnes (2017 – 2,285 tonnes). This 130% increase in production was achieved primarily in the last six weeks of the year, and provides an encouraging outlook for 2019 production at this quarry. The Company is also intending to invest in capital equipment in this quarry. 2018 was a transformative year for our factory. With full slab production operational from the end Q3 2017, 2018 was focused on meeting growing demand for cut to size stone in addition to finished slabs. The Italian Gravellona Machine Marmo Computer Numerical Control (“CNC”) machine was installed in March 2018 and was very quickly producing its first tiles for export. Since then, cut to size capacity has been increased with the purchase of four bridge saws, two edge polishers, a cylinder (column) milling machine and a dedicated tile polishing line which will become operational in Q1 2019. Operating processes have been consistently refined and the factory is now operating two full shifts year round. The factory has been showcased as a key example of the benefits of investment in Kosovo and visited by various dignitaries including the Prime Minister of Kosovo, HE Ramush Haradinaj, the British Ambassador, Ruairi O’Connell and the Chairman of the Kosovo All Parties Parliamentary Group from Westminster, Martin Vickers MP. The investment in capital equipment is expected to significantly increase production, and allow further development of both major quarries. 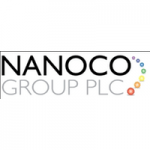 Currently the Company has confirmed orders from existing customers of approximately 16,000 tonnes of block material with anticipated gross revenue value of around €3 million for the year end 31 December 2019. Fox Marble does not expect to be significantly impacted by the expected departure of the United Kingdom from the European Union, due to the location of its operations and the majority of its customer base being located outside the European Union. The Board will continue to monitor the situation in order to address and mitigate associated risks as they arise. Fox Marble has issued 13,263,161 new ordinary shares in the Company (“New Ordinary Shares”) at 9.5p per share. Gross proceeds of this issue of equity amounts to £1,260,000. The New Ordinary Shares will rank pari passu with the existing ordinary shares. Admission to AIM of the New Ordinary Shares will occur on or around 12 February 2019. Fox Marble has issued a further £700,000 in Convertible Loan Notes under the same terms as existing Loan Notes issued by the Company. The Convertible Loan Notes will carry an interest rate of 8%, per annum. The Convertible Loan Notes are due for conversion or repayment on 4 February 2022 with a conversion price set at 10.5p. Proceeds from the issue of shares are intended to be used to fund capital equipment at the Fox Marble’s quarry sites to expand production capabilities to supply increased demand for material in 2019. 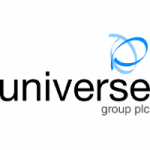 In accordance with Rule 5.6.1 of the Disclosure Rules and Transparency Rules of the Financial Services Authority (“DTRs”), the Company’s issued share capital at 12 February 2019 will consist of 231,148,483 ordinary shares of 1 pence each. The Company does not hold any ordinary shares in treasury. Therefore the total number of voting rights in the Company is 231,148,483. The above figure of 231,148,483 may be used by shareholders in the Company as the denominator for the calculations by which they will determine if they are required to notify their interest in, or a change to their interest in, the share capital of the Company under the DTRs.